Der Kickstarter zum Wikinger-Brettspiel von Plastic Soldier Company endet bald. 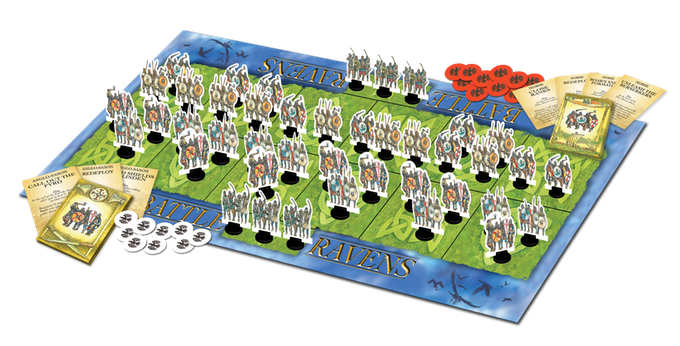 The Battle Ravens core game features Anglo-Saxon and Norse armies. Each army has its own artwork! 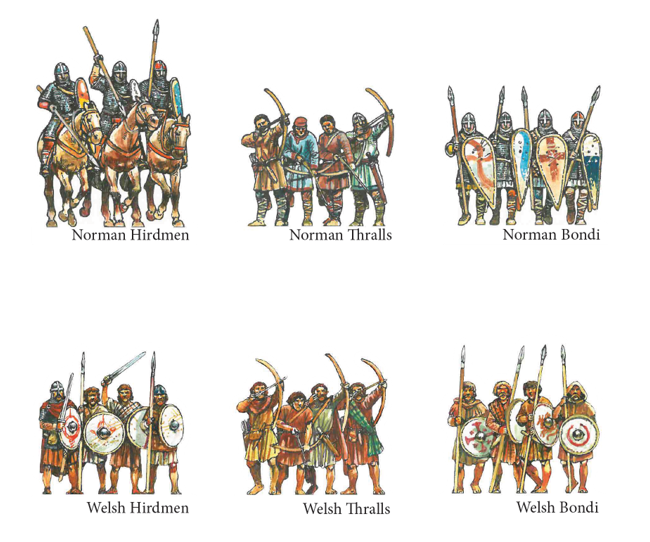 We’re offering additional armies as optional buys (Norman, Scottish and Welsh armies), and Tactics Cards as stretch goals (these add extra flavour to the army you’re playing). 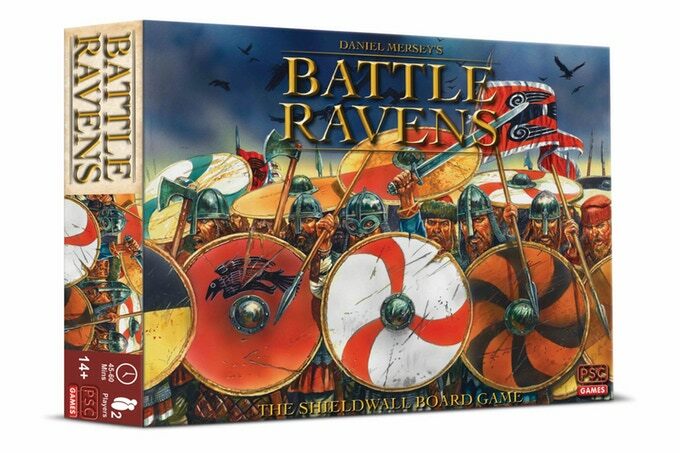 Battle Ravens is designed by the twice Origins Award-nominated tabletop wargaming writer Daniel Mersey (whose miniatures rules include Dux Bellorum, Lion Rampant, Dragon Rampant, and The Men Who Would Be Kings). And we are delighted to announce that the playing pieces are all illustrated by well-known and popular historical artist Peter Dennis, based on his ‚Paper Boys‘ concept (presented here on quality cardstock with plastic stands). Stretch goal 1: TACTICS CARDS – UNLOCKED! We’ll upgrade each army to include its own set of 10 Tactics Cards! Stretch goal 2: MOUNTED BOARD @ GBP £6,500 – UNLOCKED! We’ll upgrade the core game’s board from heavyweight card to a mounted board! Stretch goal 3: EXTRA DICE @ GBP £7,000 – UNLOCKED! We’ll increase the number of dice in the core game from 5 to 9 (the most dice you ever need to roll is 9). Stretch goal 4: OPTIONAL RULES @ GBP £7,500 – UNLOCKED! 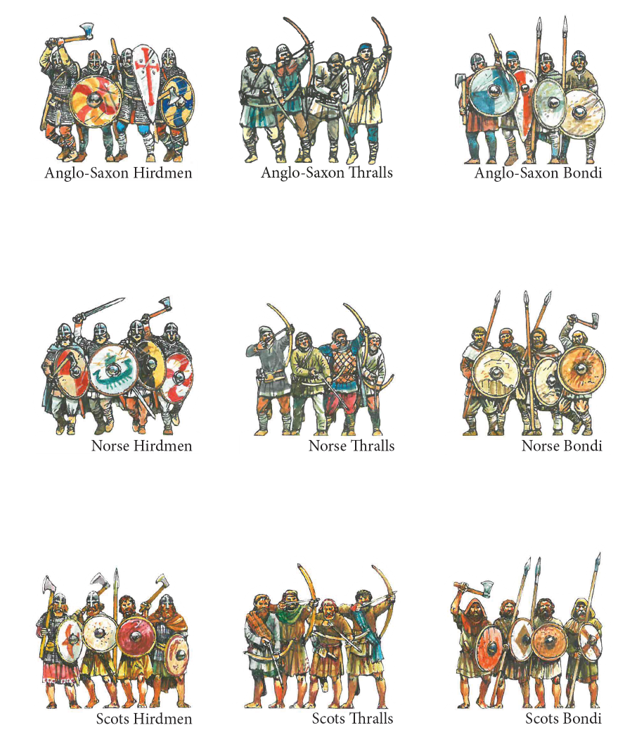 We’ll add the designer’s set of optional rules to our Scottish, Welsh and Norman army bags, giving further ways to enhance your games. All Kickstarter backers will receive these as each pledge level includes a Scottish Army! We’ll pretty up the core game’s box with a printed inlay featuring Peter Dennis’s superb box art. As a Kickstarter Exclusive, we will give you an additional copy of the rulebook – so there’s one for each player. We love custom dice! So as a Kickstarter Exclusive we will give you a set of 9 Battle Ravens custom dice – the most you’ll need to roll at any one time. Stretch goal 9: Watch this space…! Die Kampagne endet in wenigen Tagen. Naja, das ‚Eavy Metal Team darf ja auch Plastik bemalen. Funny old world! Vielleicht arbeiten dort nur Plastiksoldaten? Oder diese haben die Firma gegründet?